One of the biggest blockbusters of the season, The Hunger Games: Mockingjay Part 2, has just hit the big screen, and the action film is sure to attract plenty of excited movie goers during the weeks leading up to Christmas. Based on the books by Suzanne Collins, this successful cinematic franchise began in 2012 with the release of the first movie which was followed up in 2013 with Catching Fire and then last year with Mockingjay Part 1. The film series culminates with the last chapter, Mockingjay Part 2, which chronicles the final battle for Panem as the rebels launch an offensive against President Snow and his military forces. Mockingjay Part 2 takes up right where the first part left off, so anyone unfamiliar with the series will need a crash course on this dystopian world and the characters who inhabit it. Perhaps it might’ve helped new viewers to get oriented if Mockingjay 2 had included a few key flashbacks. With that being said, however, the majority of the audience who go to see this film will no doubt be diehard fans of the series rather than first time viewers. And with a running time of over 2 hours, adding more explanatory material might’ve been ill advised. Mockingjay Part 2 features many of the same cast members from the initial film including Jennifer Lawrence, Josh Hutcherson, Liam Hemsworth, Woody Harrelson, Elizabeth Banks, and Donald Sutherland. Other characters from Mockingjay Part 1 include Natalie Dormer and Julianne Moore. Late actor Philip Seymour Hoffman also appears in several scenes of this latest installment. Given his tragic death in 2014, his presence takes on a somewhat ghost-like quality as viewers are left to wonder what the future would’ve held for this supremely talented actor. 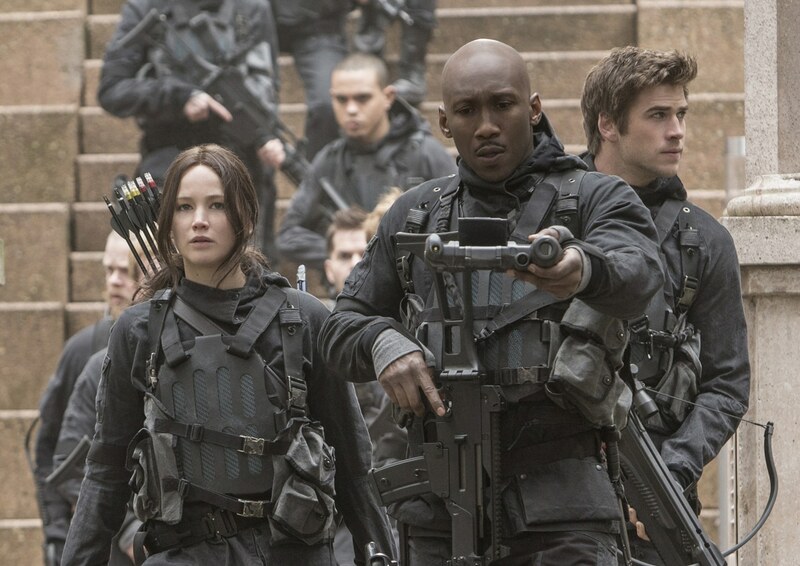 With Mockingjay Part 2, Francis Lawrence once again takes up the reigns as director. With the exception of the first film, Lawrence has been responsible for shaping the entire series and guiding its evolution from the page to the big screen. Along with screenwriters Peter Craig and Danny Strong, novelist Collins is also credited for adapting her book to film. Mockingjay Part 2 is essentially a war movie that includes plenty of action and edge-of-your-seat battle scenes. It involves the final offensive against President Snow’s sadistic regime and the rebels’ epic struggle to capture the Capitol. Katniss, who has suffered both emotional and physical wounds, once again takes up her trusty bow and arrow and becomes part of a military squadron whose mission is more about propaganda than tangible combat objectives. Of course, Katniss has her own agenda as she sets out to destroy Snow, the man personally responsible for causing untold pain and bloodshed. One of the most impressive elements of Mockingjay Part 2 is its eye popping special effects. A good example of the film’s technical prowess takes place during an important battle sequence in which when Katniss’ squad stumble upon a “pod” or elaborate booby trap. The group must escape to higher ground when they find themselves faced with a tidal wave of a deadly black oil-like liquid which threatens to engulf the soldiers. In the film, Jennifer Lawrence once again proves that she’s worthy of the title of action hero. The Oscar winner embodies Katniss Everdeen and portrays the character’s inner turmoil, moral conflict, and struggle for justice. 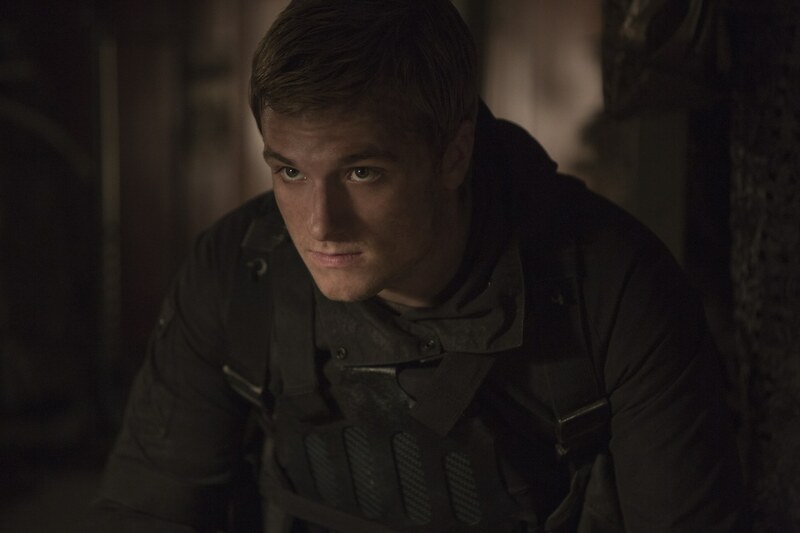 The main character is determined to make a positive difference and fight to free the citizens of Panem. Katniss isn’t perfect nor does she ever pretend to be. She makes mistakes, doubts herself, and questions society’s definitions of right and wrong. As Mockingjay, the young woman has become a powerful symbol of the rebellion and yet at heart she’s still the same young girl who was plucked from a poor mining district and thrust into the national spotlight as a contestant in the Hunger Games. Mockingjay Part 2 is a satisfying finale to The Hunger Games series that’s sure to please even the most die hard fans.